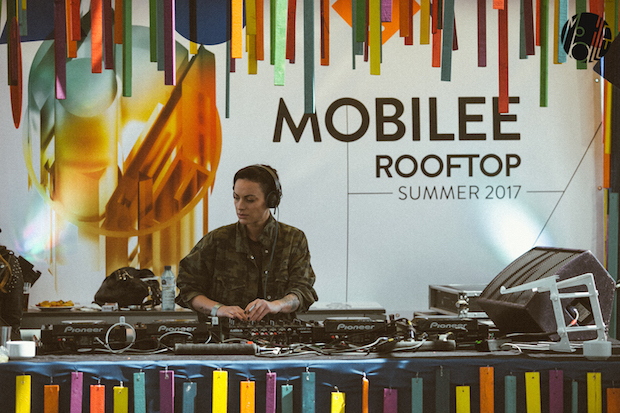 We will continue our annual tradition again this year during Sonar off week with two weekend rooftop events at the Hotel Silken Diagonal. This years events will be Anja Schneider & Friends on Friday the 16th of June and Rodriguez Jr. & Friends on Saturday the 17th of June. The capactiy for both events is very limited so the only way to get tickets is to sign-up below for which night you would like to attend and we will choose at random names from the list to receive the tickets. Good luck and we look forward to seeing you there. On Friday 16th June, Anja will present her first and only 'Anja Schneider & Friends' event in Barcelona and she couldn't be happier to have George Fitzgerald and Francesca Lombardo joining her. "I've been a fan of George's music for a long time. We both share a big love of Detroit and his ability to create a special atmosphere with both his productions and DJ sets has always left an impression on me. Francesca is one of the women of 2017 for me. She's got great music taste and creates a special feeling that I haven't experienced with anyone else." On Saturday 17th of June, Rodriguez Jr. will be presenting his first rooftop edition of 'Rodriguez Jr. & Friends" the line-up is still TBA so stay tuned as things develop.